Good feature, with some fadigue its possible to know when is resting. If the engine had weapon collision like Far Cry3, it was better to know when we are using resting instead using trial and error to know when the system is activated. I've spent a few hours with the new features now, and overall it's mighty impressive. Firing from top floor windows at the highest stance level is actually a viable option now, essentially resting on the windowsill. Thus it's giving buildings a much greater importance tactically speaking. While the system is intuitive and veterans will likely not be needing it; I think the option of a 'resting indicator' should be included both for current testing/bug reporting purposes, (seeing what does and does not allow resting) and for those fairly new to the game to get a feel for the feature (They may not be aware of the changes). I like both the dot below the cross-hair idea that Kecske illustrated (for those that use it), as well as some embedded element on the stance indicator. I for one don't use a cross-hair, and I have the stance indicator set to fade out after a short delay. One thing that would be useful for us right now (and probably as an eventual entry for the Handbook) would be an illustration/diagram of the 'circle of detection' RIE mentioned. I have some issues with the new recoil but will post that in the other thread after more testing. I think what you ask for will come in Weapon Deployment (i.e. Bipods). So far I'm very happy with this, not entirely sure about the need for an indicator, generally the algorithm seems reliable enough you can just assume it's working. The main reason I'd like an indicator is because I think it's useful and realistic to know when your weapon is rested before you start looking through the sights or begin shooting. I would also like an indicator. It could be a small dot or something similarly unobtrusive just to know I am ready in the best possible position (and you feel your resting in the real life so there has to be a feedback). Small dot or something does not sound too bad though. Disabled crosshair = disabled resting indicator. I like that idea. Except that having a disabled crosshair is when you most need a resting indicator. Like da12thMonkey said, an indicator would be useful for knowing when you weapon is rested without looking down the sights. With a crosshair, it's a fair bit easier to tell when you're rested because the crosshairs collapse more than normal (it's still not as obvious as I would like in some cases). 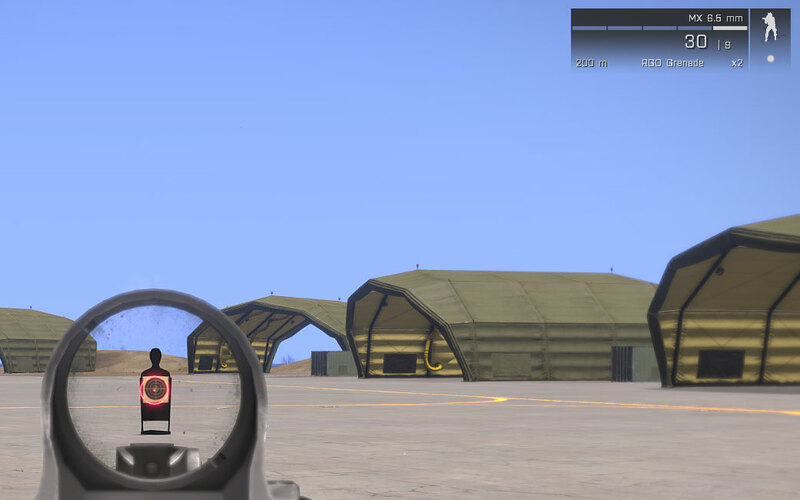 Without a crosshair, it is much more difficult to tell whether your weapon is rested without bringing up the sights. A small dot or anything else ambiguous is also not necessarily a good idea from a design perspective. If there is going to be an indicator it should be clear about what it indicates. In real life you don't have a magical crosshair telling you where you are aiming, yet in real life you would know if you are resting your weapon on something. But it is a game, and since we do not have a physical connection and cannot actually feel things within the game some sort of visual representation would be nice. In the game, if I were to show you two screenshots of the character standing and crouching, would you be able to tell the difference? No. That's why we need a visual representation. I was also thinking of a small dot as well. 1 dot could represent weapon resting. 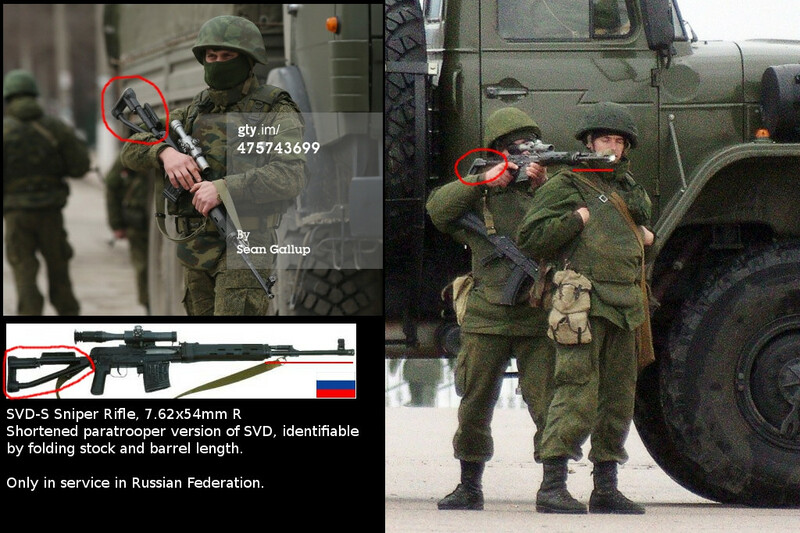 2 dots could represent bipod deployment. If you don't want the resting/deployment indicator, simply turn it off in the options. I have been playing only with VTS Weaponrest for months, and think it is perfect in every way, mainly as I am so used to it. I love the sound and icon at lower left indicating when it is active. I was also very happy with the bipod resting implementation in IFL44 (my video was linked to above). I liked the brief stutter/weapon sway when one moves and the resting becomes inactive automatically. But the current "stealth" implementation seems quite good, and it should be as unobtrusive as possible. But an indicator of some kind is needed, both when crosshairs are on (I like the small dot idea), and when they are not (I never play with crosshair, and still need an indicator). The above 1/2 dot idea for stance indicator is good, but the UI is hardly ever visible for me (my default Veteran settings must turn it off except when I change stance or weapon mode). In combat, the dots in the stance indicator would be too small to notice easily. What about a brief red or orange flash of the stance indicator when resting becomes active? :cool: Or the silhouette in that indicator could become green or blue or something? The changed color or flash of the indicator would be more easily visible out of the corner of your eye without focusing on it. Then the stance indicator would fade away as usual. I wouldn't object to a very short, soft "click" sound when resting kicks in, either. Resting IRL would make a sound, no? Animations are not necessary IMO. If the "active rest" indications (sound or visual) could be turned off in settings, then those who want completely auto/stealth resting would be happy, but I think some unobtrusive indicator(s) should be on by default. Pretty sure that's exactly what the post you're quoting is saying. I wasn't quite sure since he said "Shouldn't work that way." while quoting another post talking about the dot for an indicator. Yeah, I think he was saying that a weapon resting indicator shouldn't be tied to the crosshair because there are valid reasons that someone may want the crosshair disabled but also to keep the weapon resting indicator enabled. this is awesome feature. great work guys. like most i think a little more awareness of when its deployed would be nice. It could be simply reflecting which side it is being supported by through changning the rate of movement in a given direction (ie if you lean it on a wall you cant move it through the wall but rotate on that spot). the only sound should be that of the weapon being put on the material. The feature is a real game changer; much much more suitable positions for long distance firing, ability to counter the fatigue and injury sway etc. I don't feel any need for an indicator, personally. It's usually very obvious when the rest is engaged; sway is clearly reduced and there's a solid object nearby in your field of view. I think it's enough that people know the system exists, it reduces recoil and sway, and it's triggered when any object is near your weapon. When the army taught me that a good firing position requires a safe exit, a wide fire sector, a cover against spotting and firing, and a good support for the gun, I don't think this is what they meant. Perhaps a sound indication could work though; a really small thud or a sound of your clothes/weapon rasping against the surface. When the army tought me that a good firing position requires a safe exit, a wide fire sector, a cover against spotting and firing, and a good support for the gun, I don't think this is what they meant. 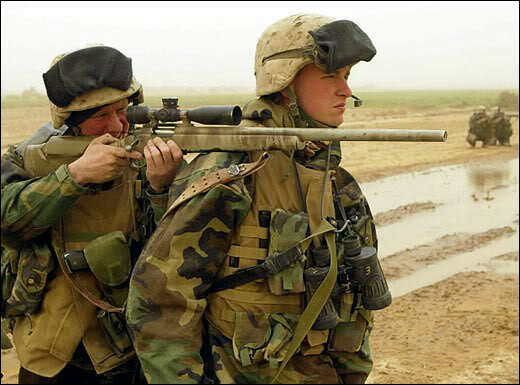 Bit out of scope of this thread, but I don't think deployment indicator will be necessary when it arrives, you'll get plenty of sensory and visual feedback with bipods deploying/center of rotation changing. Do backpacks work also? That would be realistic when sniping in tall grass. after playing a while i think the weapon should ideally actually rest on the surface supporting it and have according centre of rotation. right now its a proximity thing. and consequenlty feels disjointed from what is in front of the player - hence the requests for resting indicators. Too late, it's already in. after playing a while i think the weapon should ideally actually rest on the surface supporting it. right now its a proximity thing. and consequenlty feels disjointed from what is in front of the player - hence the requests for resting indicators. That would solve problems when you're not on the same height as your target and you have to aim upwards. yes but it seems sometimes going deaf doesnt matter to everyone. I know, I just think it's a silly thing. I tried it and apparently they do.